Peach Blossom Love Remedy to enhance one's romance luck. 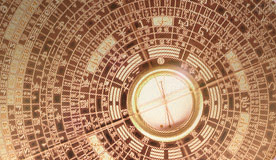 Formula and tool use in the practice of Feng Shui to activate and enhance one's romance luck. Looking for some romance love spells? Some love spells to attract some love and romance? To add on the above, I would like to introduce you to Peach Blossom Romance Formation, a promising formula and tool use in the practice of Feng Shui to activate and enhance one's romance luck. To be talking about Feng Shui, I should believe that it is of no stranger to you? 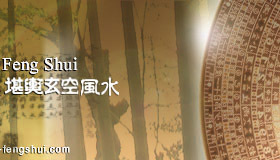 Feng Shui has today, been widely used and applied by many whom include not only the Asians but also the Europeans. Other than for wealth and prosperity, many has also make use of Feng Shui to enhance on their romance, significantly finding plentiful of new love opportunities and possibilities which they never had. In the practice of Feng Shui, everyone has a personal direction, which represent his or her romance luck. We call this the Peach Blossom direction. It is identified based on personal analysis of the Four Pillars of Destiny (Bazi Life Reading) and Ziwei DouShu Destiny Code, the theory of calculating one's life fortune based on the year, month, date and the time of his or her birth. When the Peach Blossom direction of one's is correctly activated, his or hers romance luck will be significantly amplified and he or she will be very likely to have romance in next to no time. Sometimes, they may surprisingly even meet not just one but also several of interesting new possibilities. Now, if you are single and looking for love, you can be looking forward to a new and exciting love to enter your life. How can we be activating your Peach Blossom luck? It is in fact very simple. All of what you will basically need is to set up a small pot of flowers (still in its bud, ready to bloom) in yours Peach Blossom direction in your room with a mirror at specific location with correct time activation. You can be doing that with the help of a normal compass. Next, taking good care of the flowers, making sure that it will not withered. And when it blooms, blossom your romance will be. Unlike normal peach blossom formation you find online, we uses special destiny code to locate your romance spot. Usually there are 2 to 4 romance palace each year. The key to the success of this Peach Blossom Romance Formation would however be very much depending on its Activation Timing. You have to find the best and the correct timing (date and time) to be setting up the formation, to be best activating your Peach Blossom luck. In the practice of classical Feng Shui, we emphasize greatly on the timing of activation of each formation. Without the correct time activation to complement the formation, even if you have the best of the formation laid out, the formula will never work to its fullest. And sometimes, they might not even work at all! 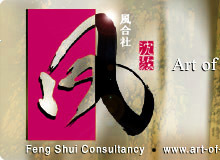 Many Feng Shui practitioners have the knowledge to do an Feng Shui audit and to advise on the necessary changes. But sometimes they lack the knowledge to apply the appropriate date and time selection cater to fit both the occupant's Ba Zi and house's element. And that is why very little result or no result at all is seen after the Feng Shui audit. In our true practice, we uses the ancient secret theory of Xuan Kong Da Gua (Secret of Former Heaven Sixty-four Hexagram Chart) "element number" and "period number" to combine both Heaven Qi and Earth Qi patterns to enhance Human luck. But not to be worrying too much. We shall take care of that for you. Now, romance is an important part of life and I should believe you are probably seeking for one at this very moment? Your Peach Blossom luck direction, hidden away in your Four Pillars chart may jollywell provide you with just the answer; the answer to all your love woes and joy.